What industry am I in? Lavina Rickard is a delegate at Sanford mussel processing plant in Havelock. She’s been a union member since the early 2000s and enjoys her role as a team leader on the cleaning shift. Lavina has ten years’ experience as a delegate and has enjoyed using the skills learnt through union education opportunities and involvement on her Industry Council. “I’ve found the training awesome and have met a lot of good and different people through the union,” she says. One of the big steps Lavina took was to support migrant workers at her workplace by getting union recruitment material translated into different languages. “At Sanford’s Havelock, we have a lot of migrant workers. Many of them speak English as a second language, which makes recruiting hard for a start. Sometimes you can get lost in translation. “I have got French, Portuguese, Hindi, Chinese, and Samoan. I’m still waiting on some others. We need to get the message out there, so it’s good to have as many languages as we can. It’s a slow process, but a couple of my fellow Industry Council members are helping me out with it. Lavina says migrant workers often don’t know their rights and are afraid that raising issues could threaten their visas. Lavina joined the E tū Manufacturing and Food Industry Council this year. She enjoys the role because it gives her contact with other delegates from similar workplaces. Lavina knows that the workers in the seafood industry deserve better pay and Sanford’s can afford to pay it. The Living Wage is on the agenda for Sanford workers. Lavina is happy to see her fellow Sanford E tū members down in Bluff leading the charge with the launch of the Living Wage Bluff Network. Sanfords employs a lot of temps and has high turnover. What skills do you have? 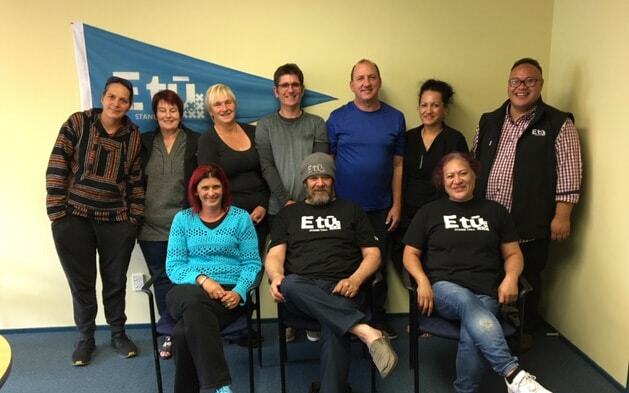 Any E tū members that would like to use their skills to help spread our union message are invited to get in touch. 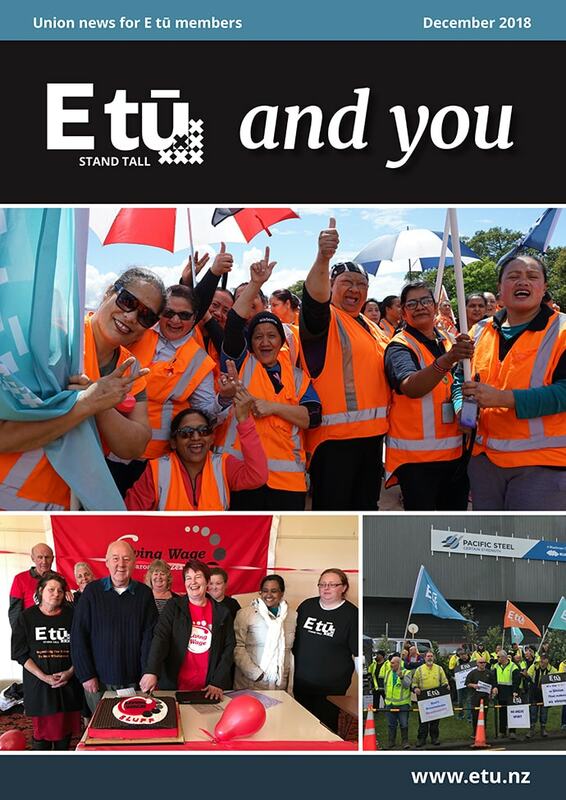 Whether you speak another language well, take great photos, or would like to contribute in any other way, please email communications@etu.nz.